A state of the art Learning Centre and additional World Heritage Centre will open in Bath in 2019. Building work is set to start in 2017 and the entire project will cost upwards of £3.4 million. The Roman Baths Learning Centre will be linked to the existing Roman Baths via an underground tunnel. Inside, pupils will be given the opportunity to participate in interactive sessions with Roman artefacts and to explore a new excavation area, where they’ll get the chance to ‘uncover’ replica Roman remains. The new facility will also feature an Investigation Zone, where children will be able to get hands-on with artefacts. 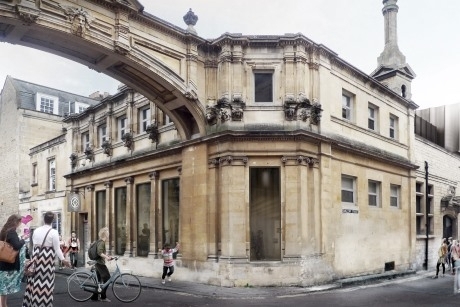 The World Heritage Centre, meanwhile, will allow visitors to learn more about the significance of the world heritage site in Bath. The new centre will be located in former Victorian spa buildings, next to the Roman Baths, and give pupils access to the remains of Roman areas that have not been accessible to the public before. Councillor Patrick Anketell-Jones, cabinet member for economic development at Bath & North East Somerset Council, said: “School children will now be able to learn about their heritage in a brand-new Learning Centre, where they can take part in hands-on archaeological activities using in-situ Roman remains. Funding for the projects is being provided by the Heritage Lottery Fund. Nerys Watts, head of Heritage Lottery Fund South West, said: “From displaying hidden Roman rooms to inspiring the next generation to get hands-on with Bath’s past, this is an incredibly exciting project and we’re proud to offer our support, thanks of course to National Lottery players. For more information visit www.romanbaths.co.uk/archway-project.